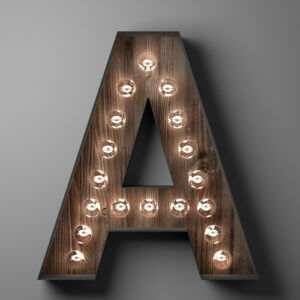 Letter A for sign with light bulbs. Photo courtesy of Shutterstock. What is an A player? An A Player is someone who is amazing at what they do, creates value for others, and always delivers, both in their careers and at home. The office ninja who never says “ That’s not in my job description.” Is an A player. The super job candidate who has to sort through dozens of job offers, and nails every interview is an A player. The Rockstar Entrepreneur who guides his new company through the growing pains is an A player and there are a million more examples. If we’re being honest with ourselves not only do we respect and admire A players for their success, we’re also a little bit jealous.